This week, we talk about Alphabet putting internet balloons over Puerto Rico, Chris’ experiences with CBS All Access, a boatload of #AskError, a peek into Beard’s personal life & more! + (00:00:06) – Totally-Not-Google plants to put internet balloons over Puerto Rico. + (00:10:36) – #AskError: what’s really amazing when you think about it? + (00:16:34) – #AskError: what’s the most embarrassing thing you used to believe? 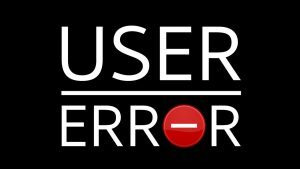 + (00:21:18) – #AskError: what tech device would you give to someone in the past to change how tech develops, What’s the worst PEBKAC you’ve ever seen & more! + (00:47:10) – #AskError: What’s your biggest problem in life right now?